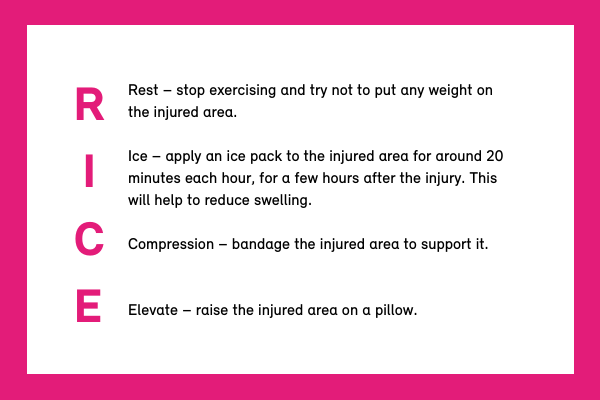 Lower temperatures means a higher chance of injuries so it is more important than ever to warm up well during the winter months to avoid the risk of strains, sprains and tears. The reason for this is that your muscles don’t contract as efficiently when they are cold which means they have to work harder and the chances of getting injured are increased. Recovering from a muscular, tendon or ligament injury can be a long and painful process so prevention is definitely better than cure. Here are some tips for avoiding getting injured during cold weather. A good warm up routine is vital whenever you exercise but particularly when the weather is cold. Warming up is called that because using your muscles raises their temperature, helping them to work more effectively and preventing strains and tears. You can develop your own warm up routine according to your preferences but you may like to include some stretching of the back, legs, arms, hamstrings and Achilles tendon. Aim for around 10 minutes of stretching at the start of your warm up. After that you can gradually increase your heart rate and breathing by introducing exercises such as arm circling, star jumps, squats or skipping. Wearing good quality sports clothing that absorbs moisture and keeps it away from your skin will help you to stay warm. Lightweight layers are best as you can remove them once you start to warm up. Always wear good quality footwear that supports your ankles, legs and feet. If you are planning to train outside, keep an eye on the weather forecast and be prepared to alter your plans, if necessary. If the conditions are very icy, for example, it may not be a good idea to go for a run but if you do decide to head out into the cold, make sure you are warmly dressed. Although it may sound strange, cooling down is also an important part of a winter exercise routine. If you have been training hard, you are likely to be hot and sweaty. If you injure yourself while training, don’t simply ignore it and press on or you might make a minor injury far more serious. You may also wish to use cooling bandages which use evaporation to draw heat away from the area and reduce inflammation. You should seek immediate medical attention if the injury is serious. You may need an X-ray if a fracture is suspected or an MRI scan to check ligament damage. Depending on the diagnosis, you may need a cast or crutches to support an ankle fracture or surgery to repair a torn ligament. You may also be offered physical therapy or rehabilitation exercises.